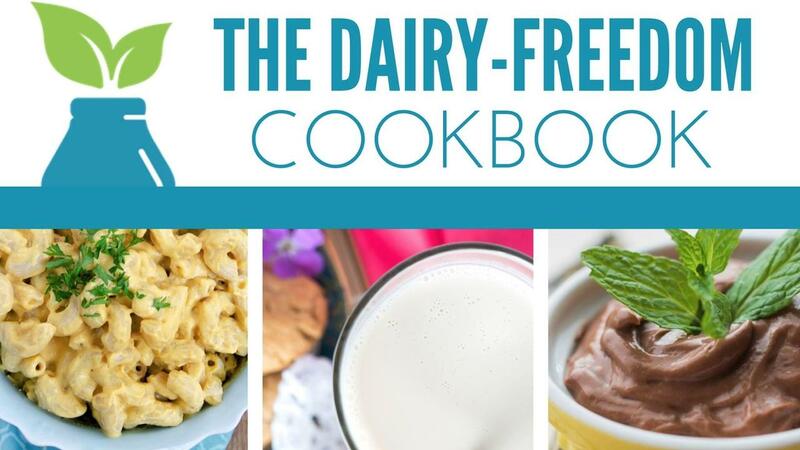 The Dairy-Freedom Cookbook—get your copy today! Ready to save money, eat healthier, kinder, and more sustainably? Isn't it suspicious that with long lists of unpronounceable ingredients, many of the packaged foods sold in stores are both pricey and made with junk that was never meant to go into a human body? Yeah, I agree. I mean, that stuff hardly deserves the title "food," right?! What if there was a way you could be liberated you from all that and empowered to make your own vegan staples from better ingredients that actually cost less? There is! Today, I’m excited to share my new vegan creation with you: The Dairy-Freedom Cookbook. Packed with 30 delicious plant-powered recipes, this e-collection will teach you how to make your own milk, butter, cheese sauce, and more—from scratch with beautiful photos and links to how-to videos for some of the recipes. And it's just $5! If you’re ready to save money, eat more deliciously, be healthier, live more sustainably, and enjoy kinder foods, I got you! My greatest hope and intention is that this resource will help you do all those things and more.